Title: 'The City Of New York'. 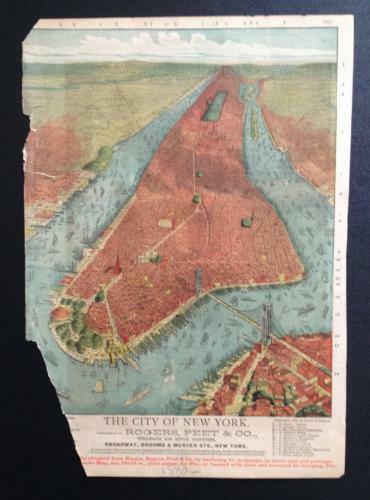 A panorama of New York from 1879, with a Strangers Guide on the reverse. This is an interesting piece of advertising for a contemporary Clothier company. The condition is fair - there are some chips and a 4 cm tear and it is tight on the left side. The defects are reflected in the price.